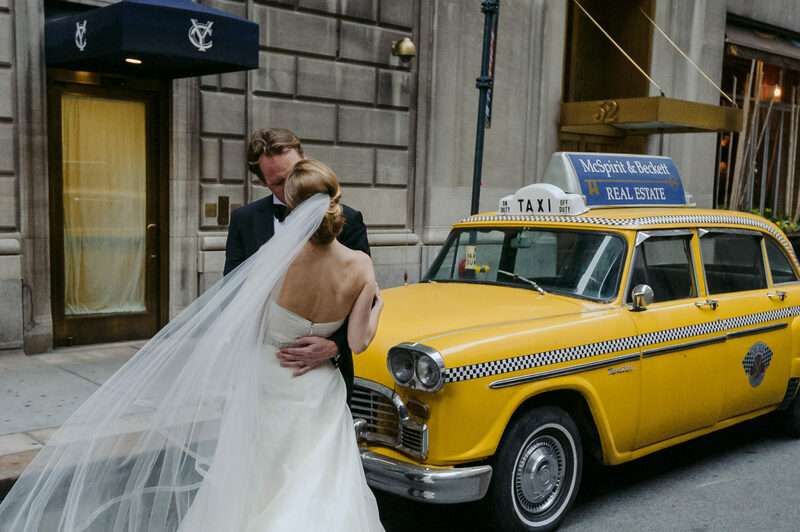 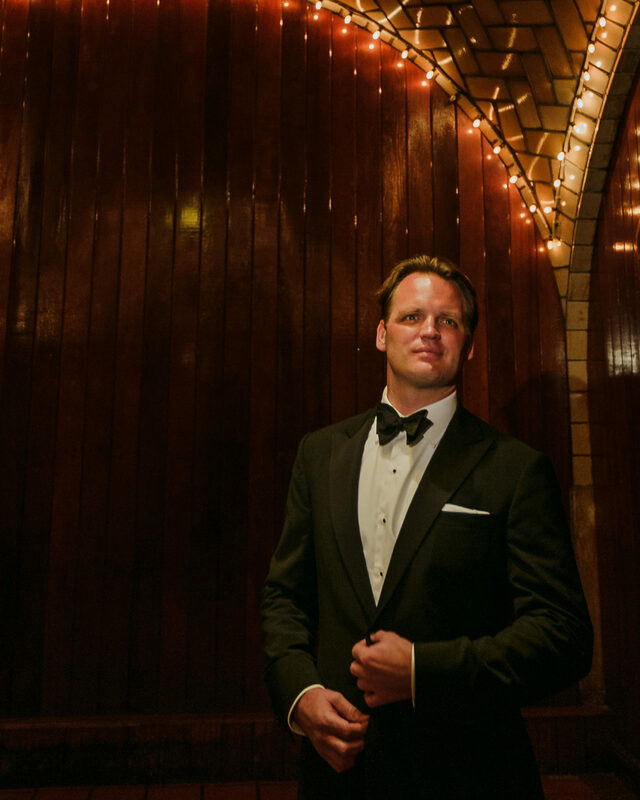 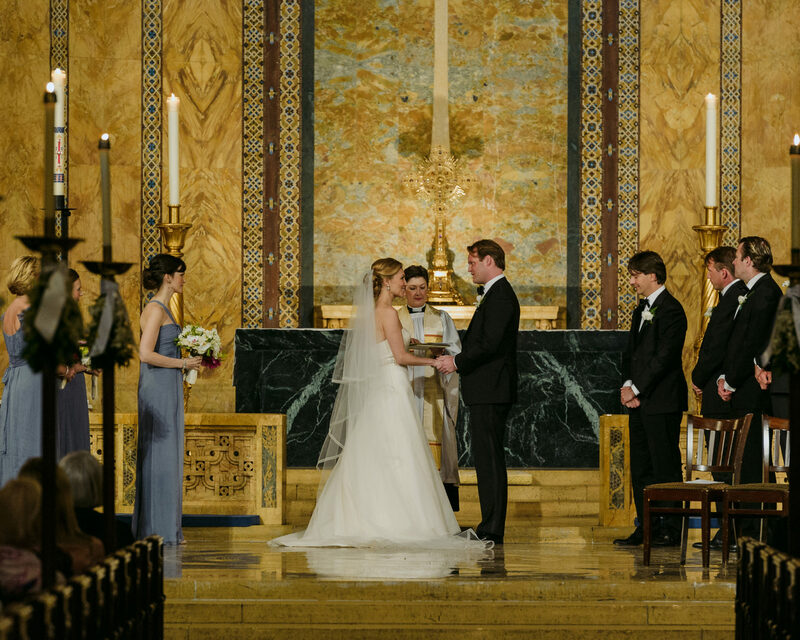 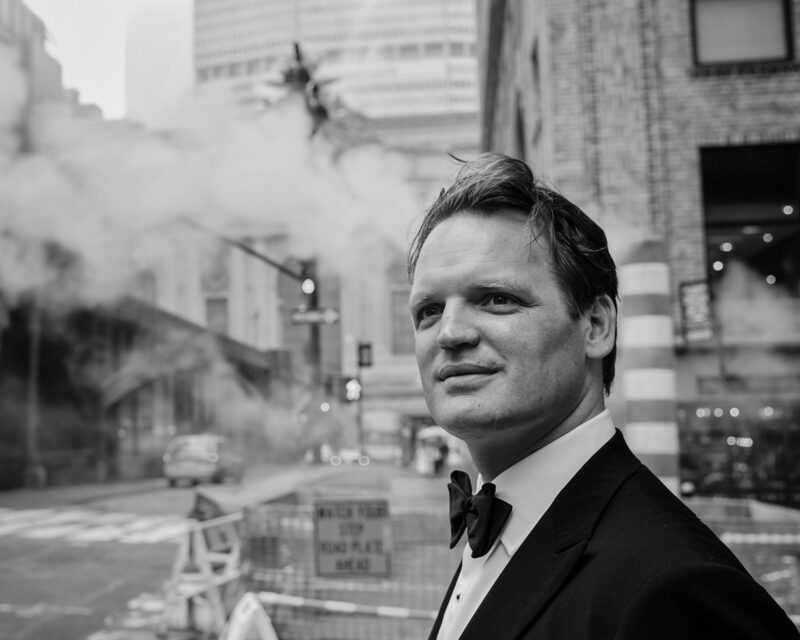 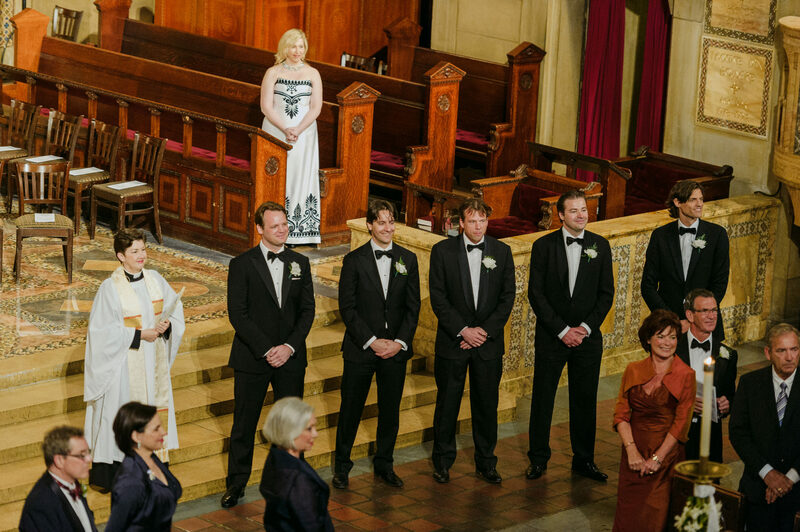 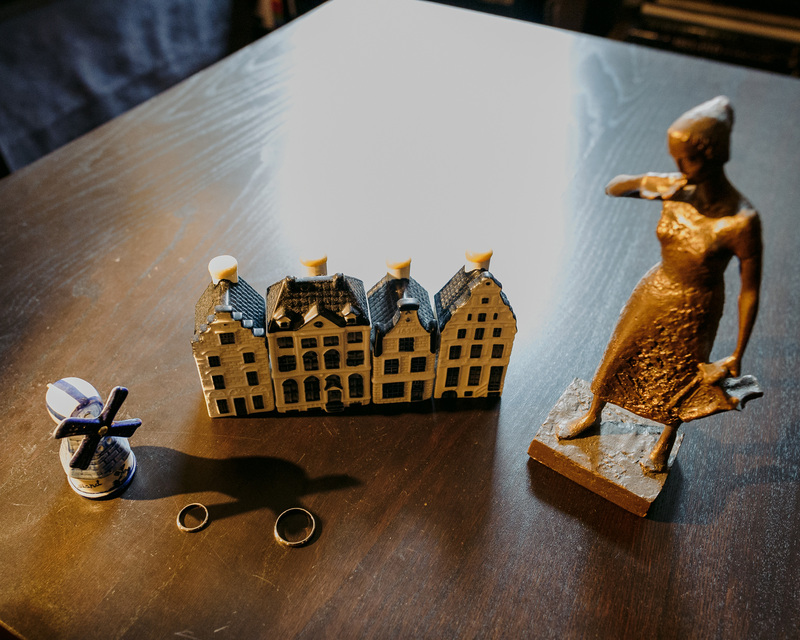 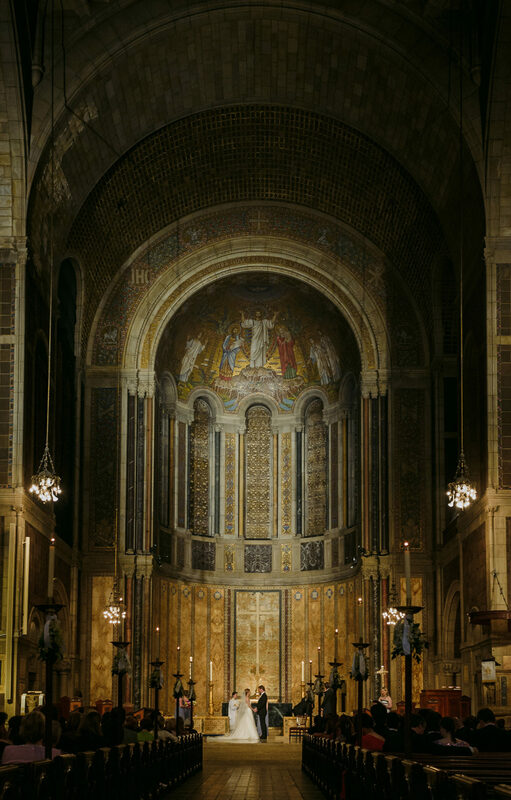 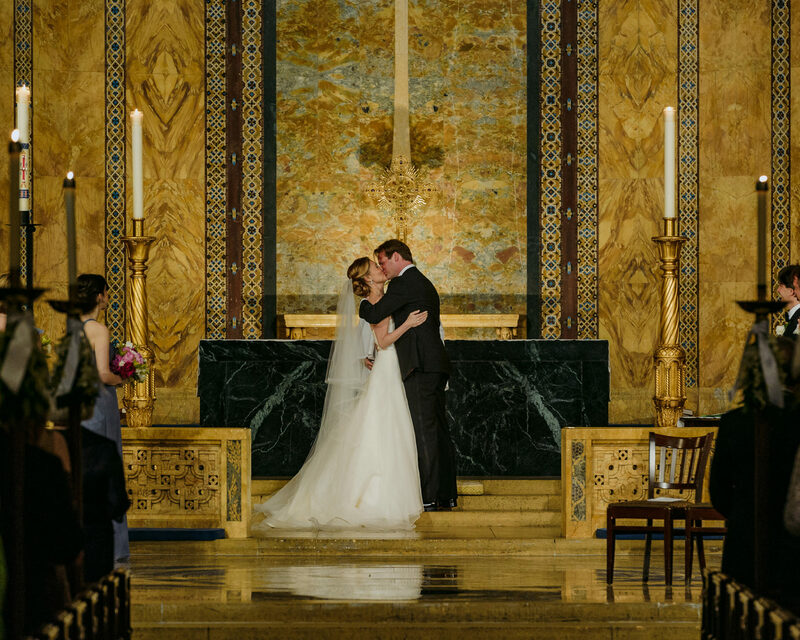 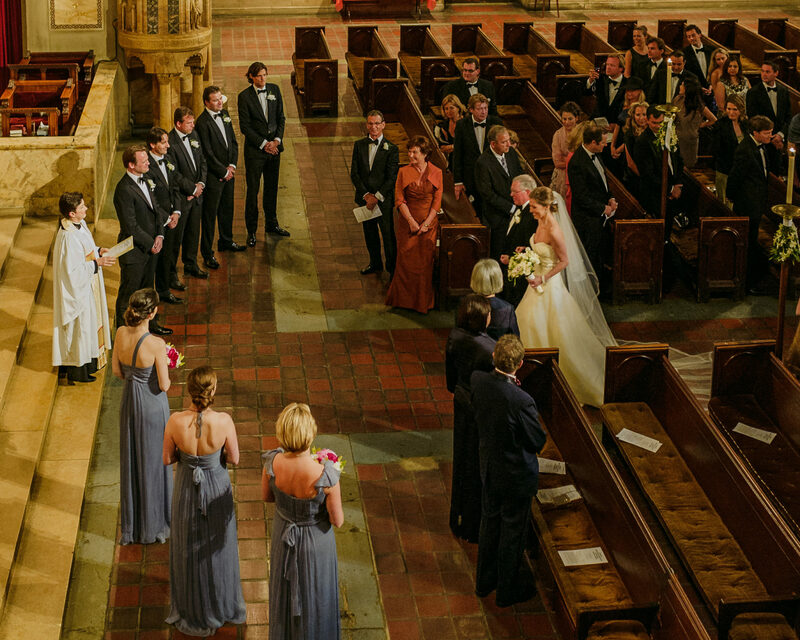 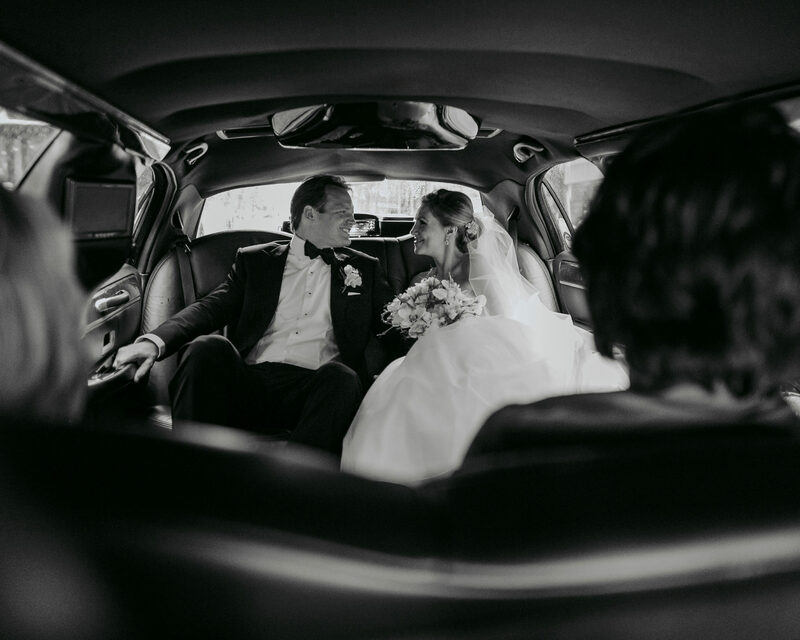 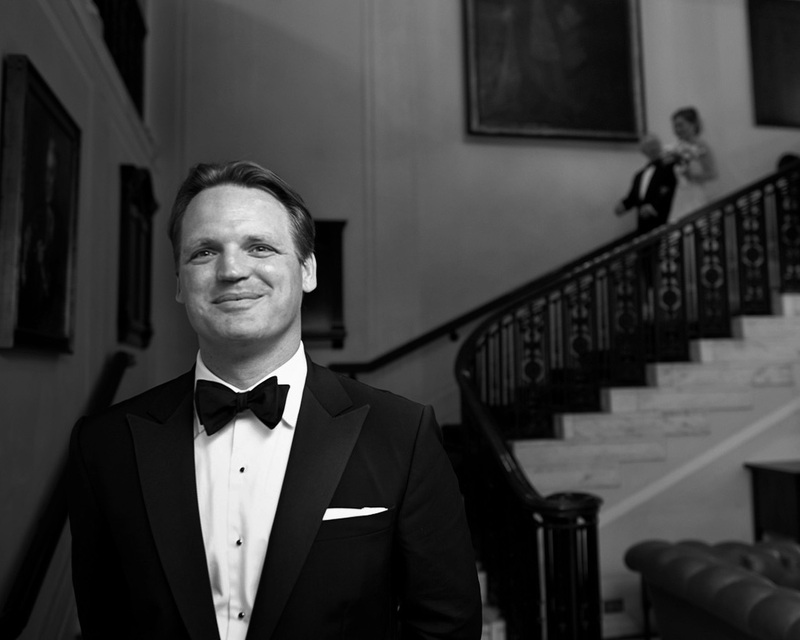 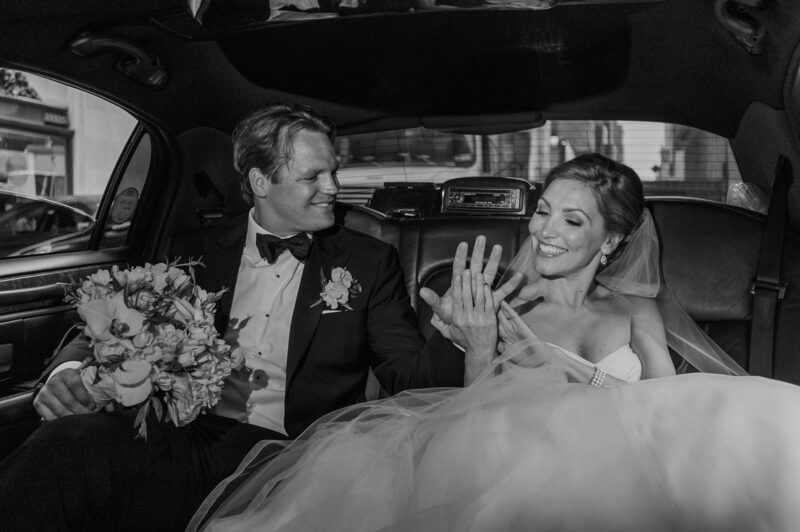 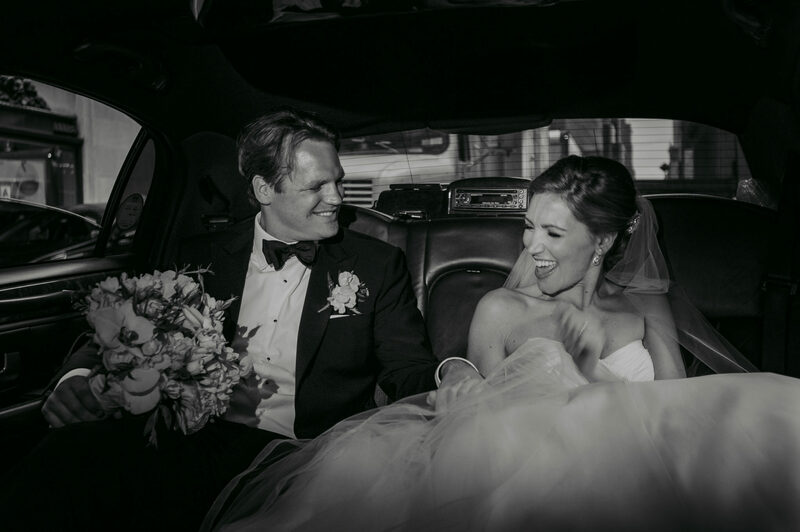 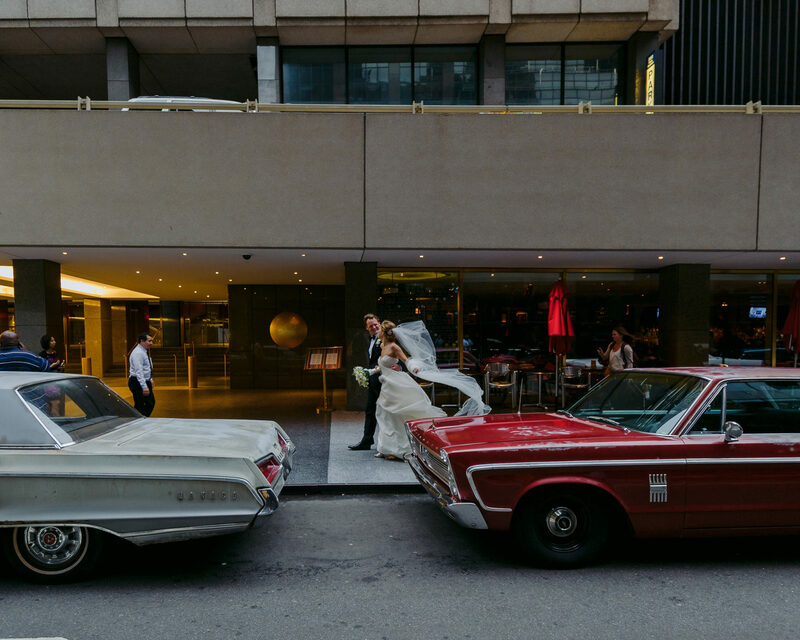 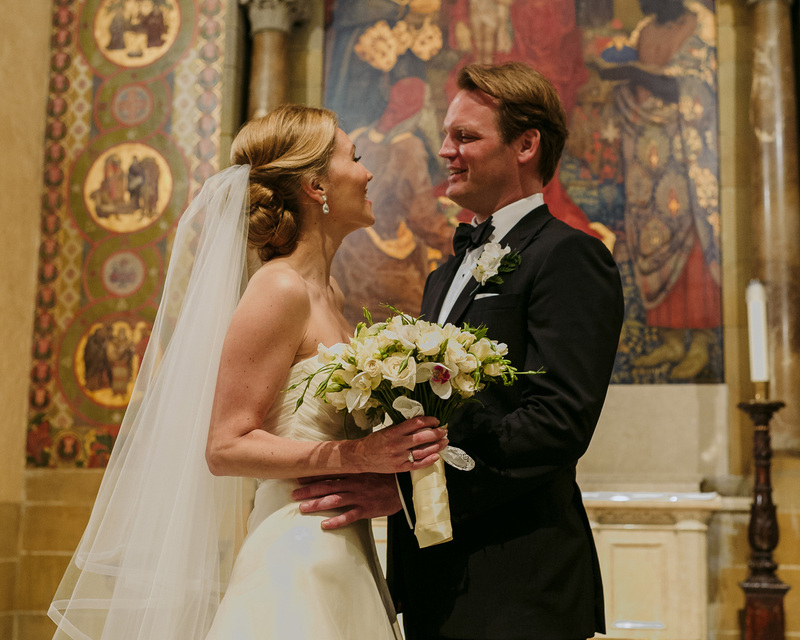 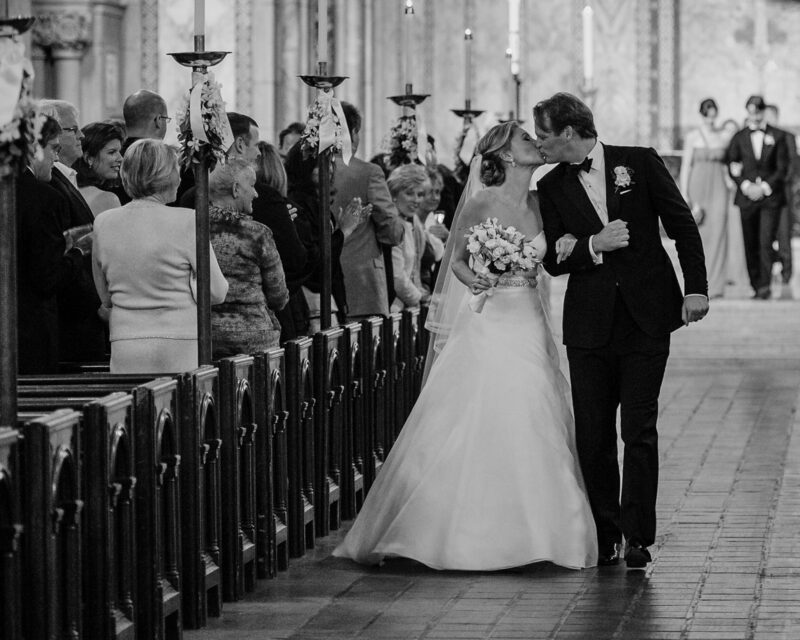 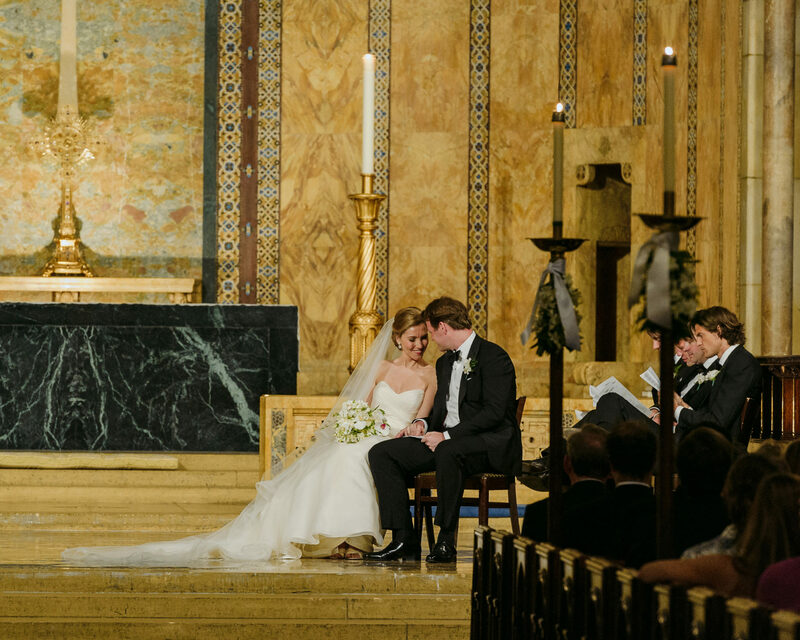 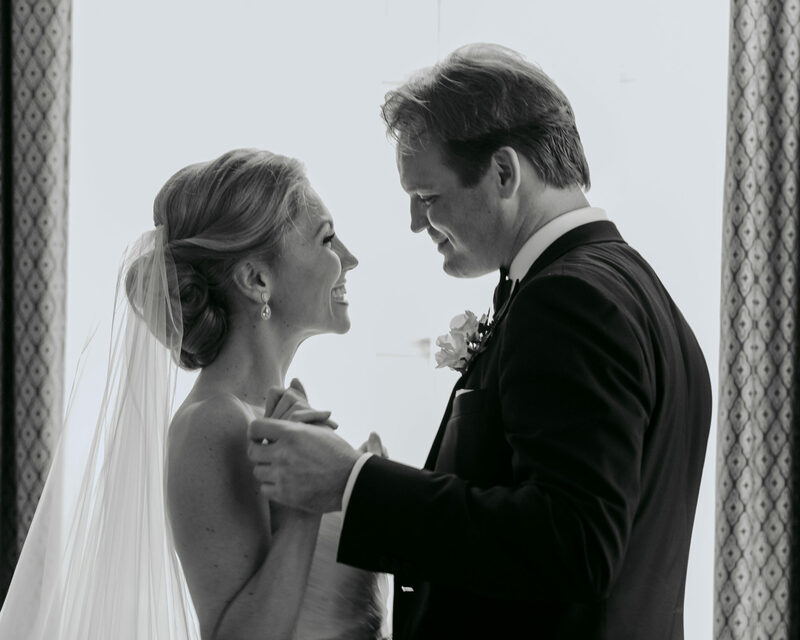 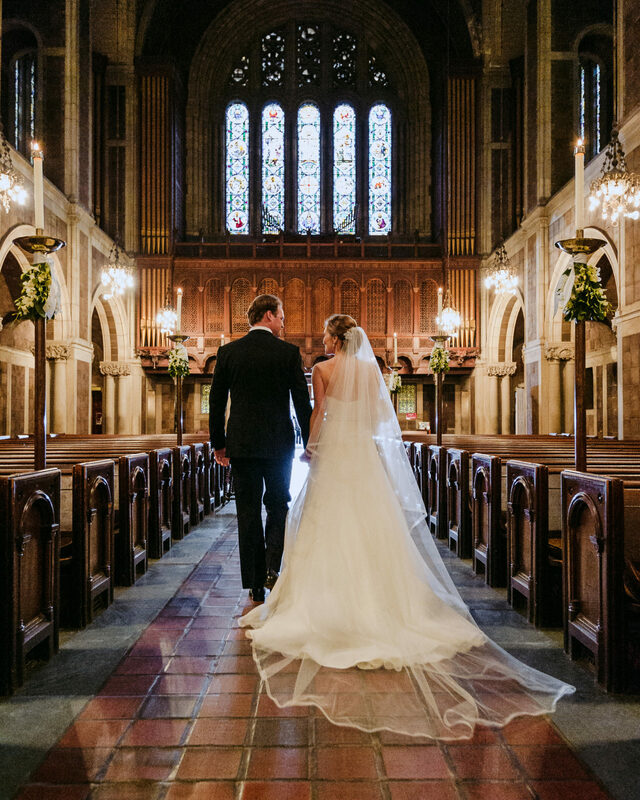 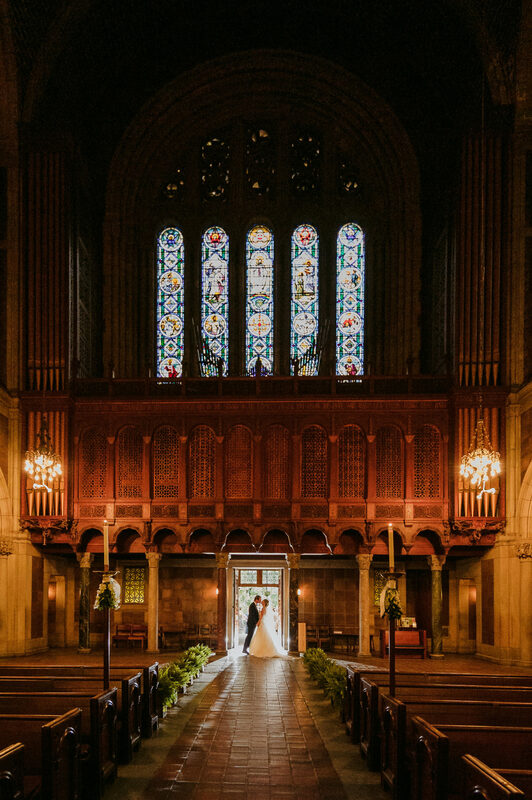 A Dutch Man meets a woman from NYC and they get married at Saint Bartholomew’s Episcopal Church in New York City. 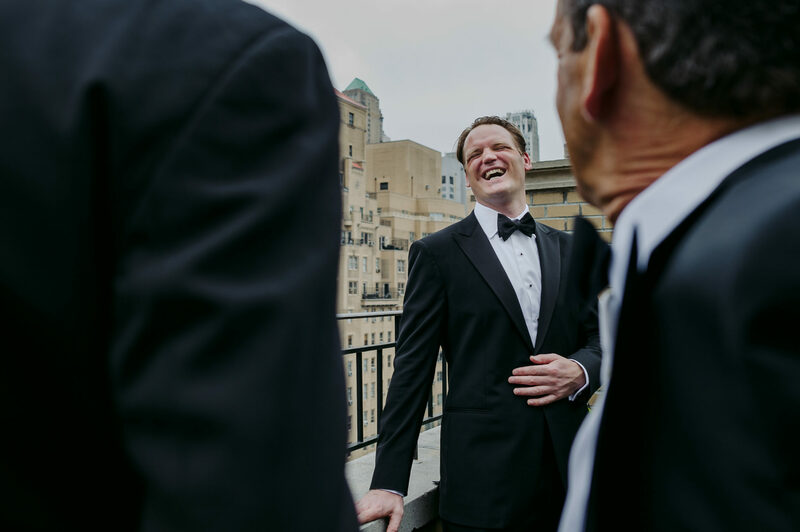 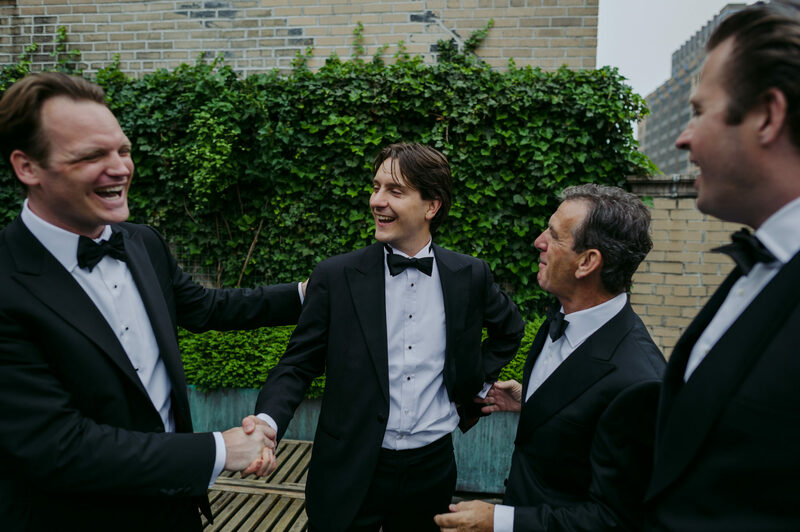 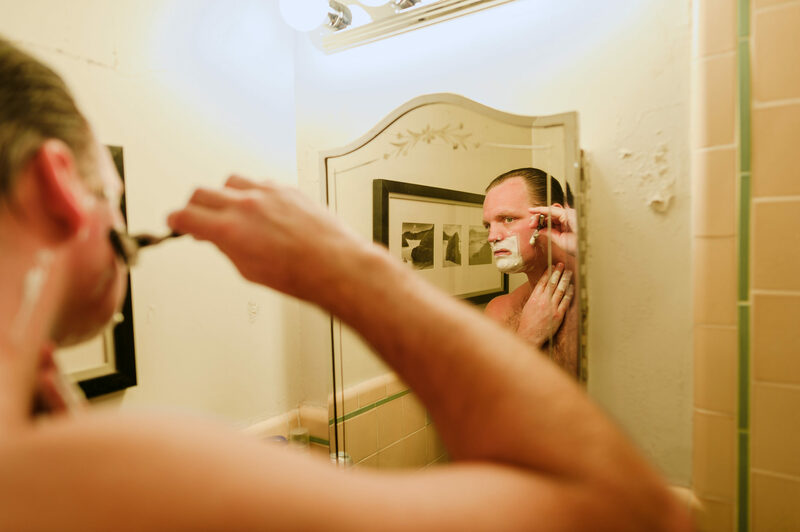 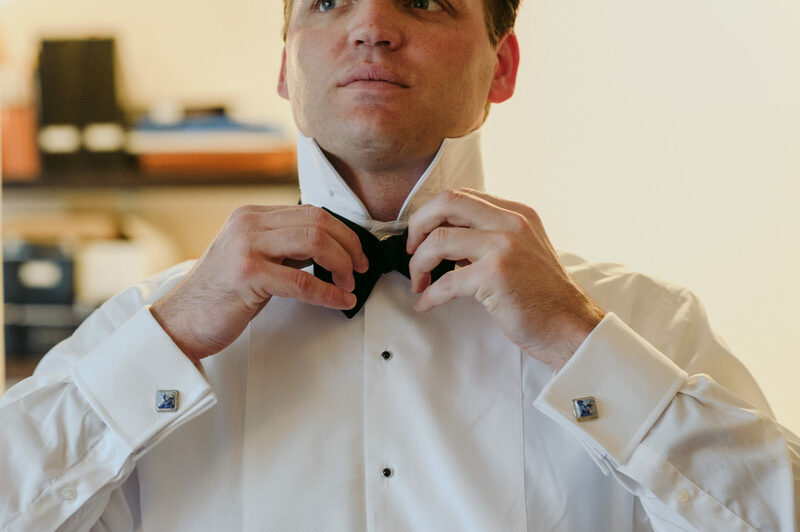 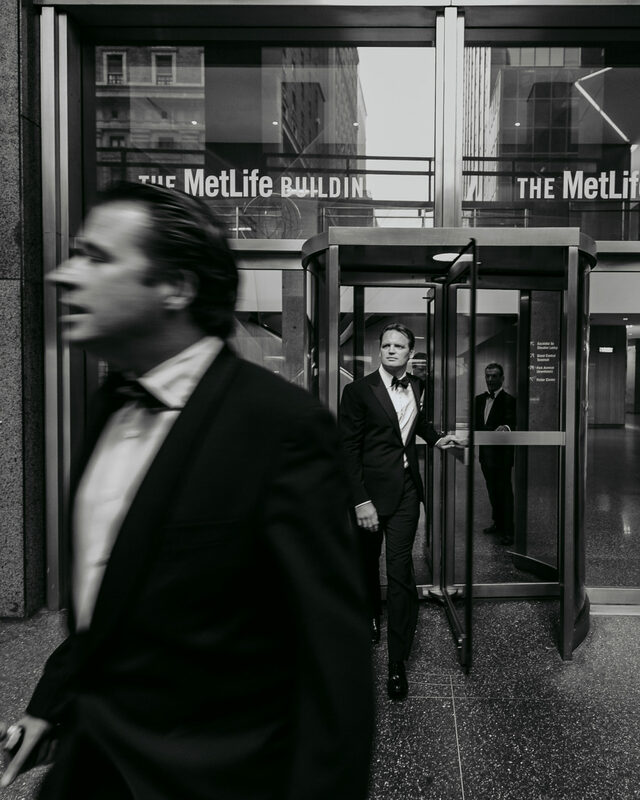 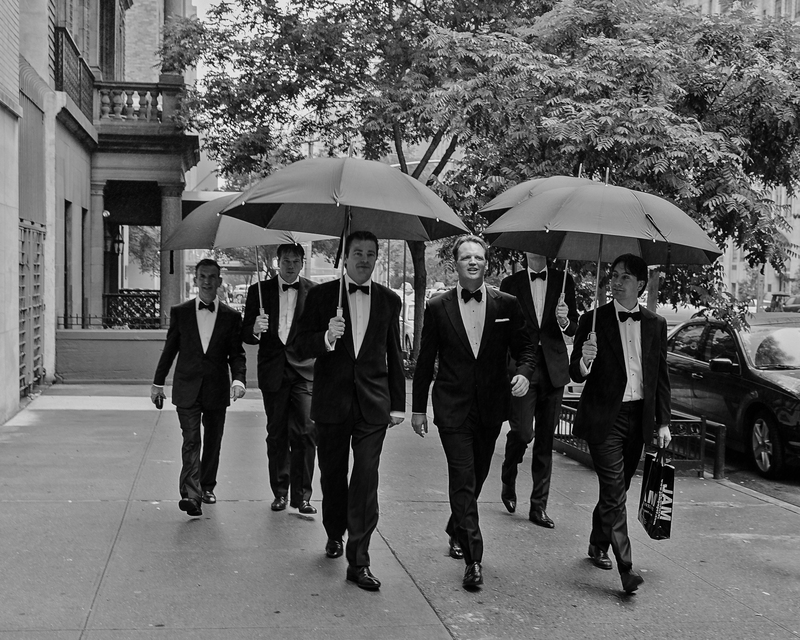 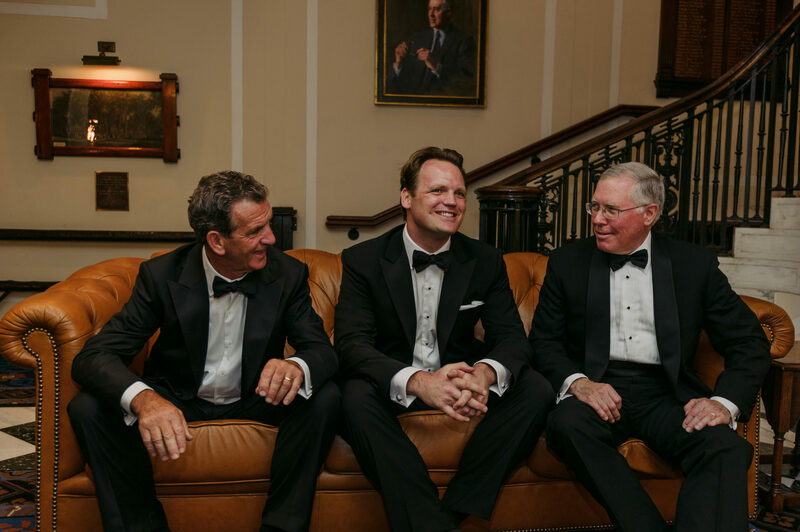 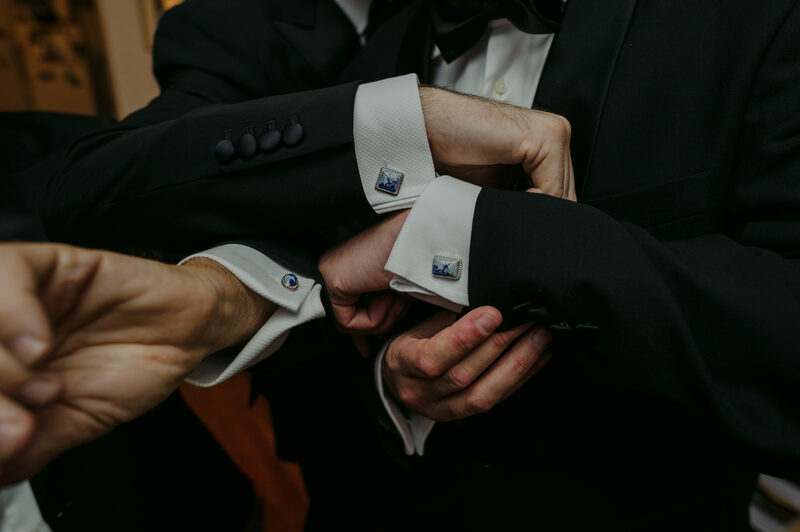 I had the pleasure and honor to photograph groom’s perspective wedding day with Micheal Greenberg of Phototerra. 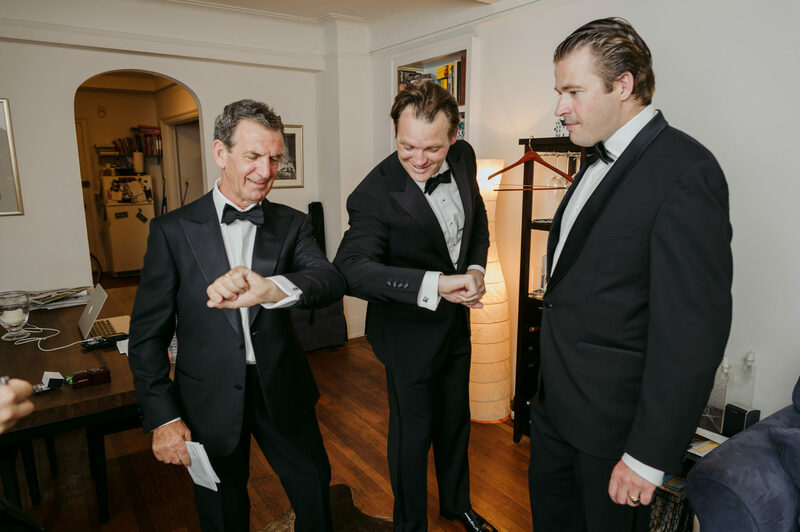 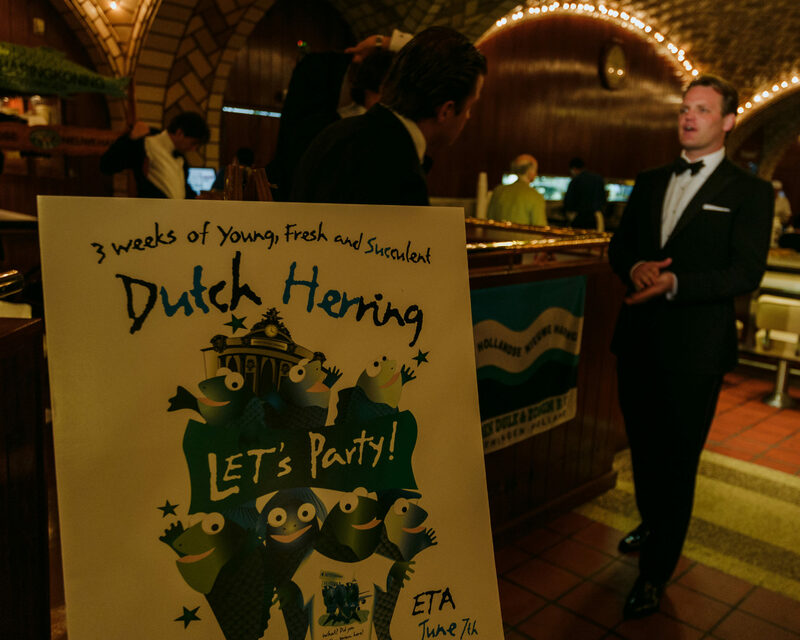 The day started at Remko’s apartment on Park Ave where he prepared with his father and friends from the Nederlands. 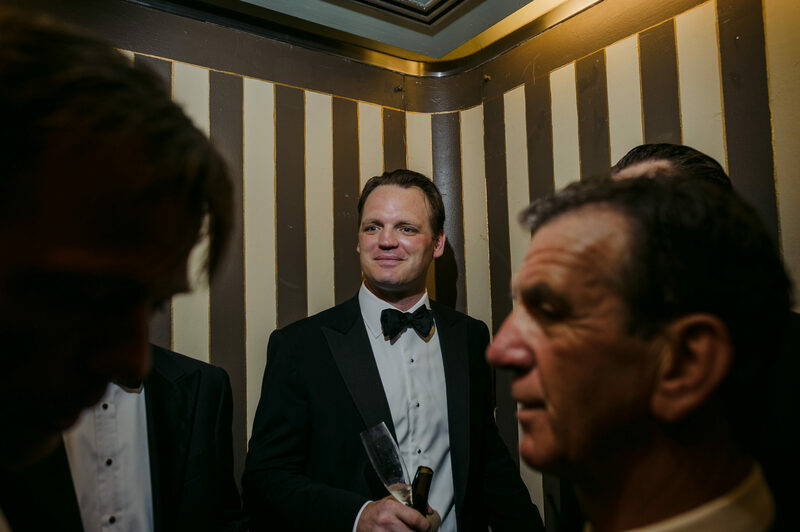 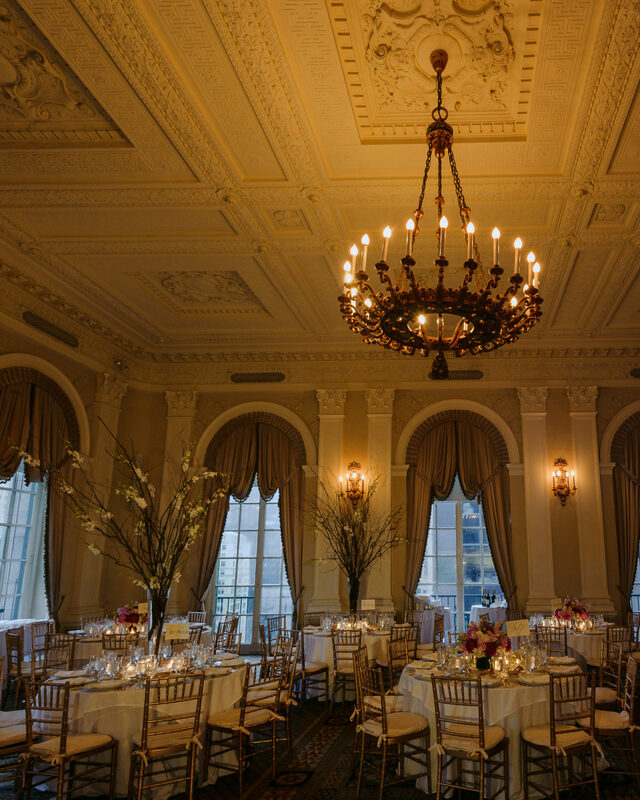 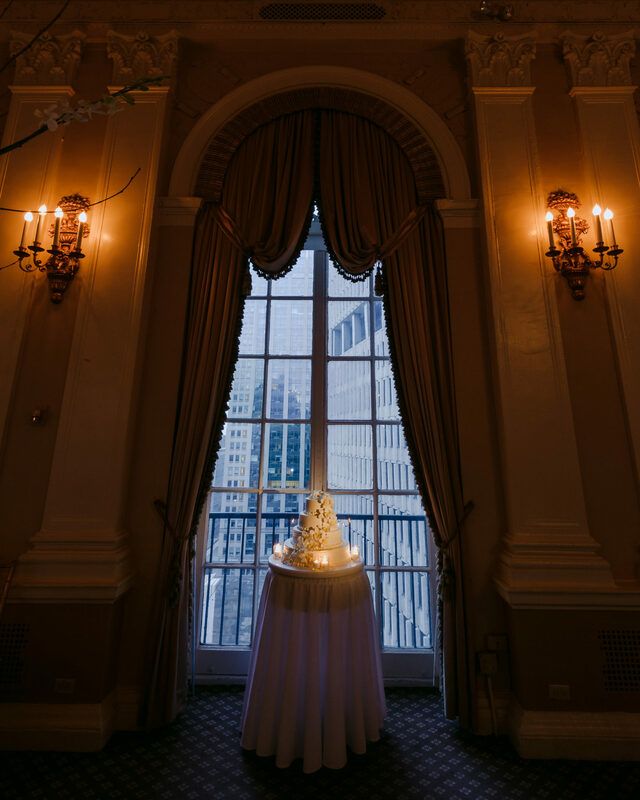 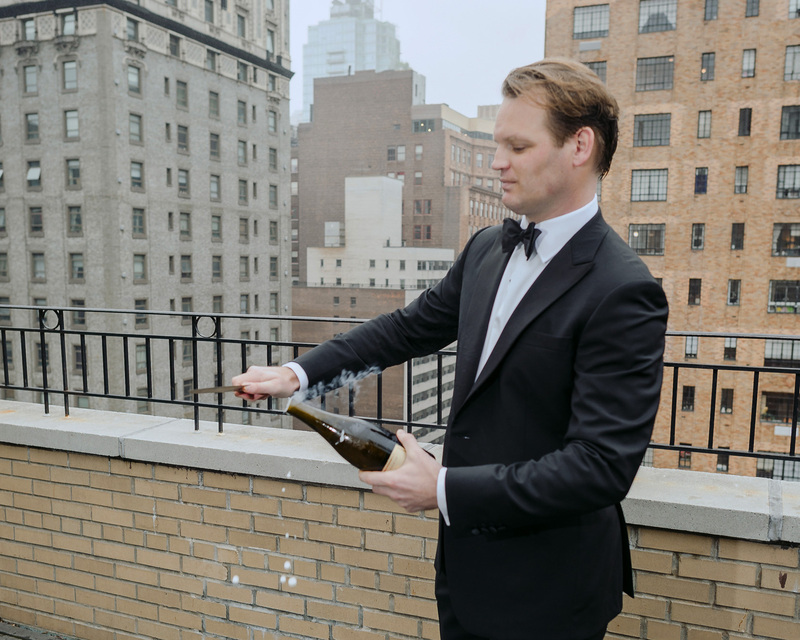 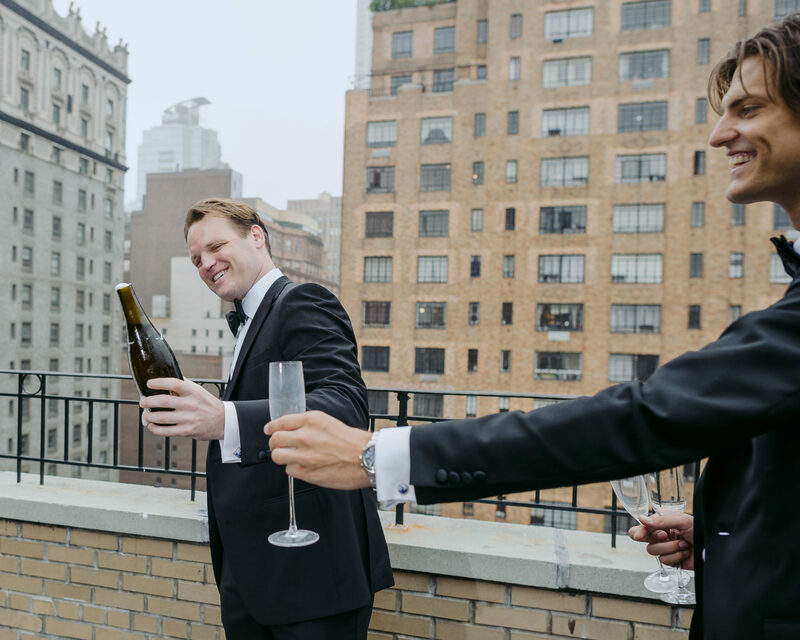 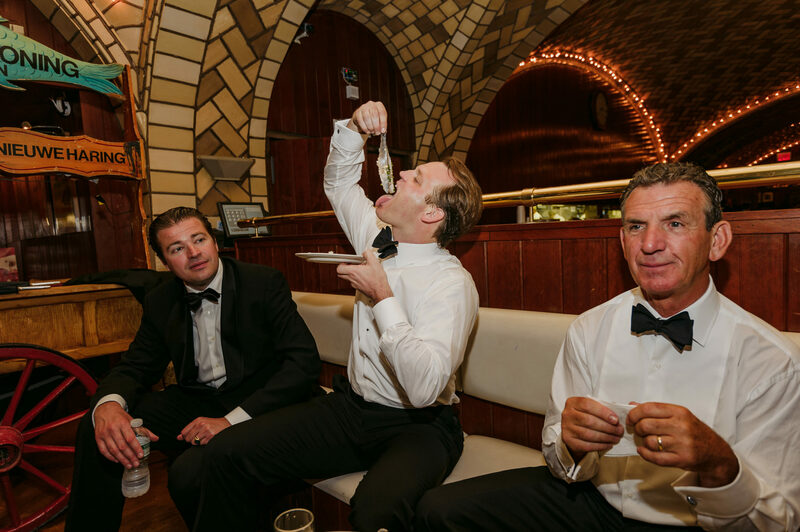 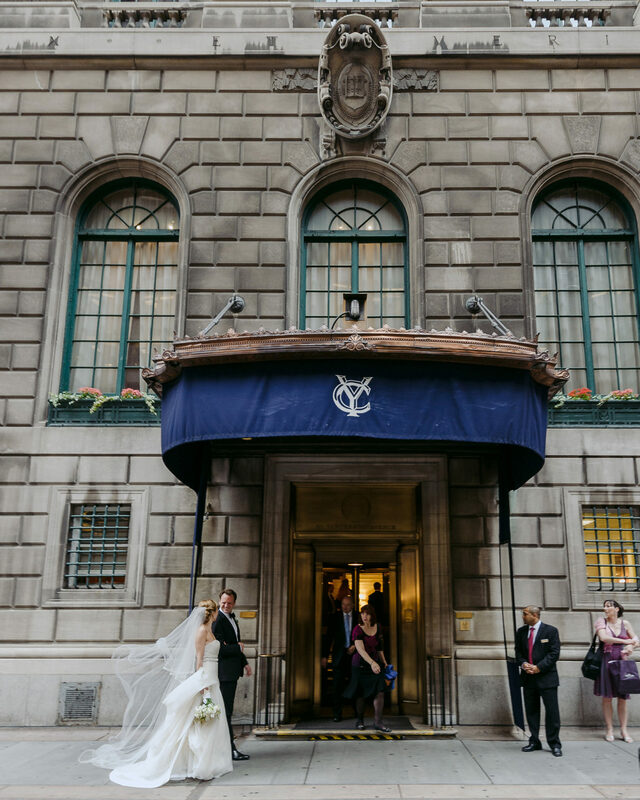 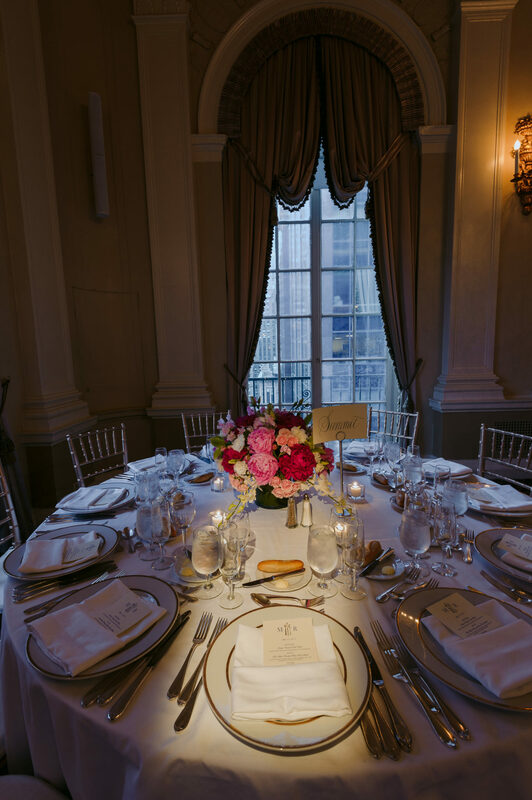 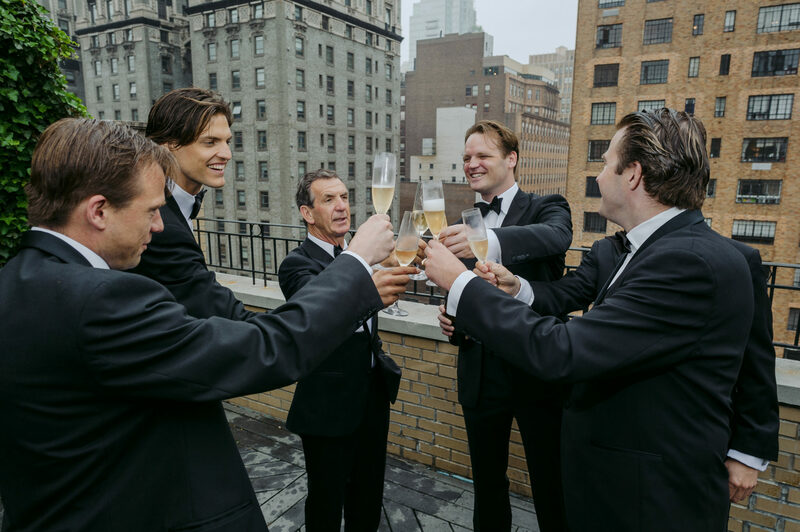 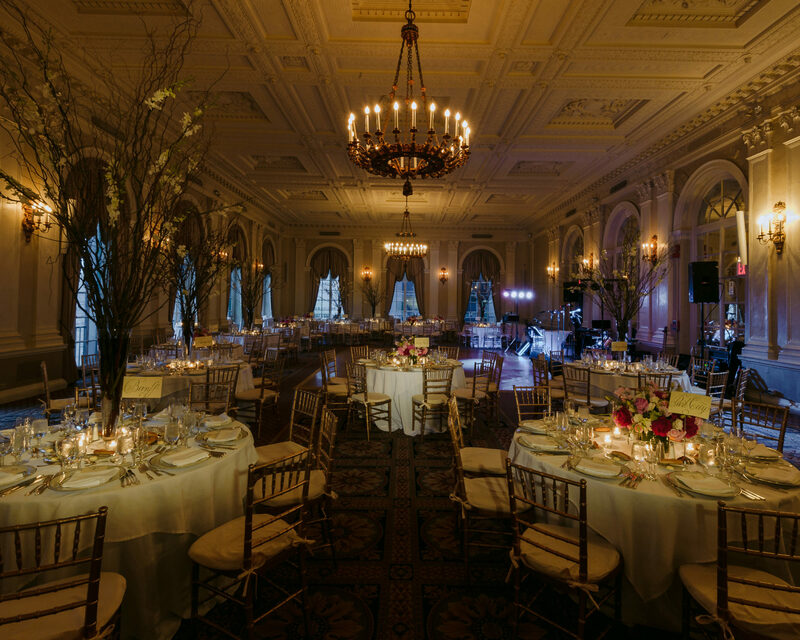 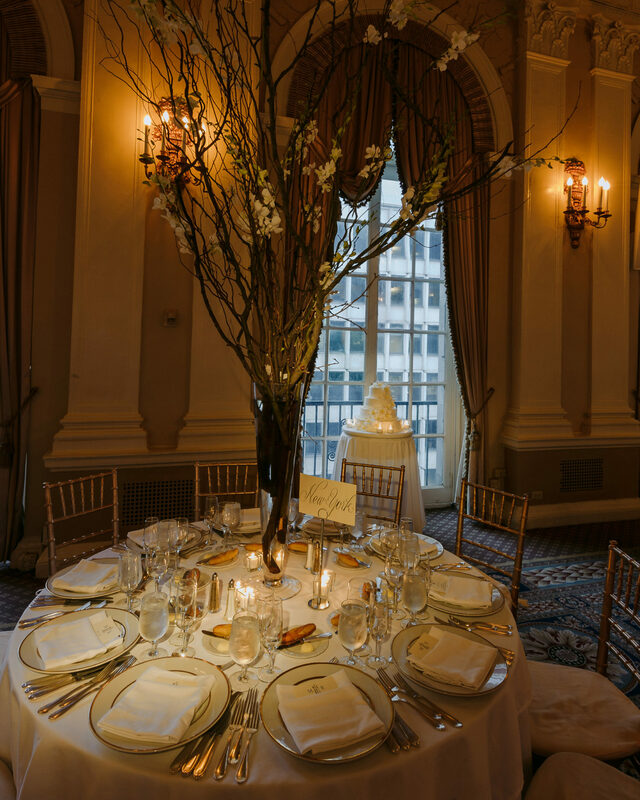 They had champagne on the roof of the building when the rain let up, and then went to Oyster Bar at Grand Central to eat Dutch herring before going to The Yale Club for the first look. 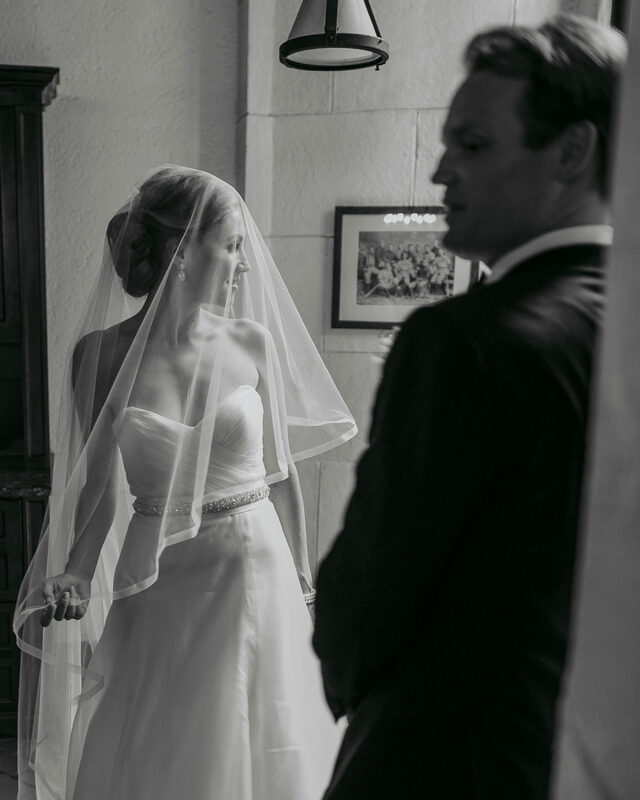 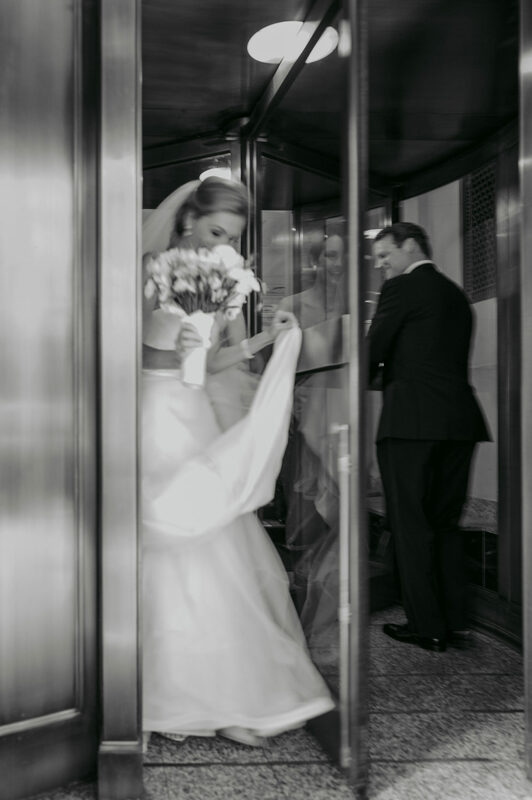 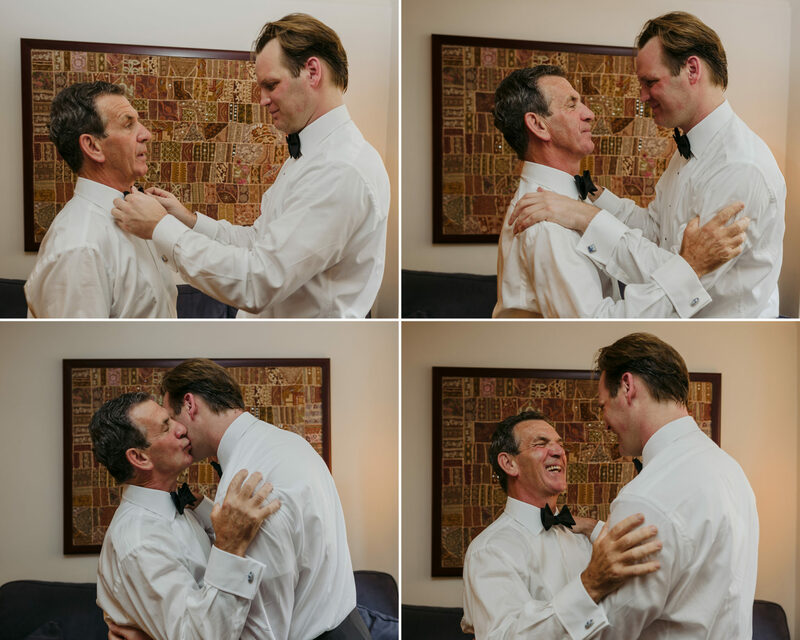 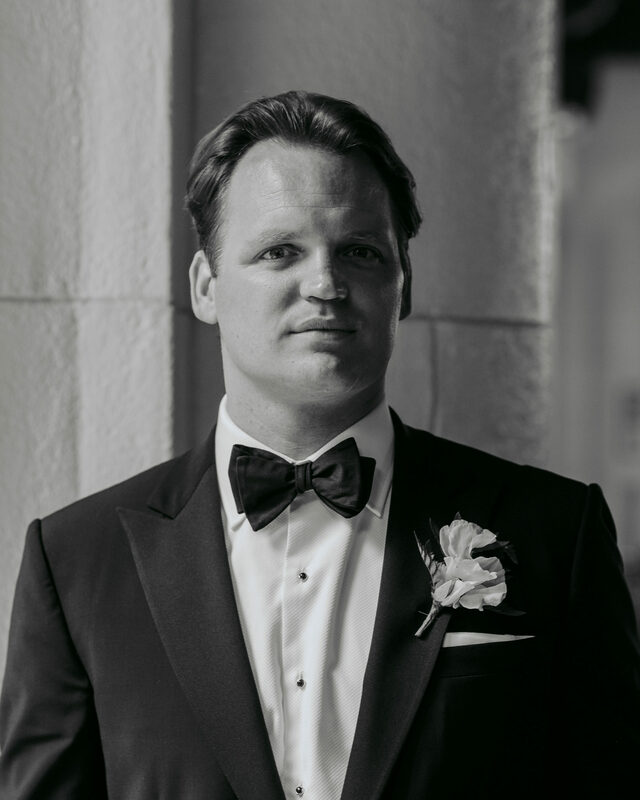 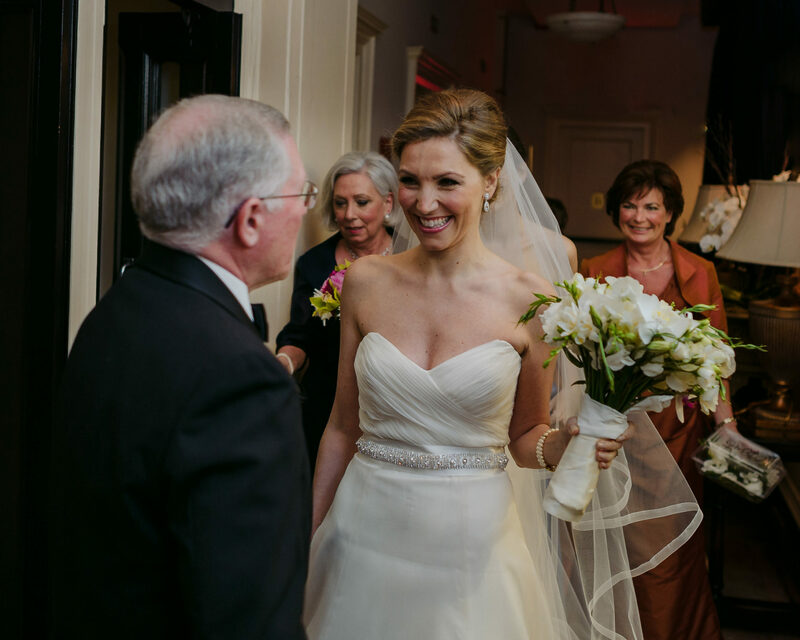 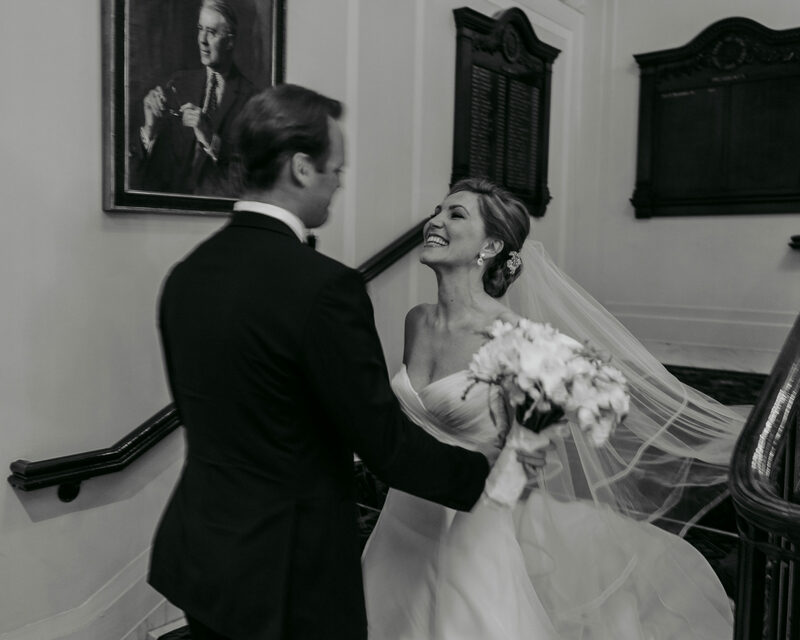 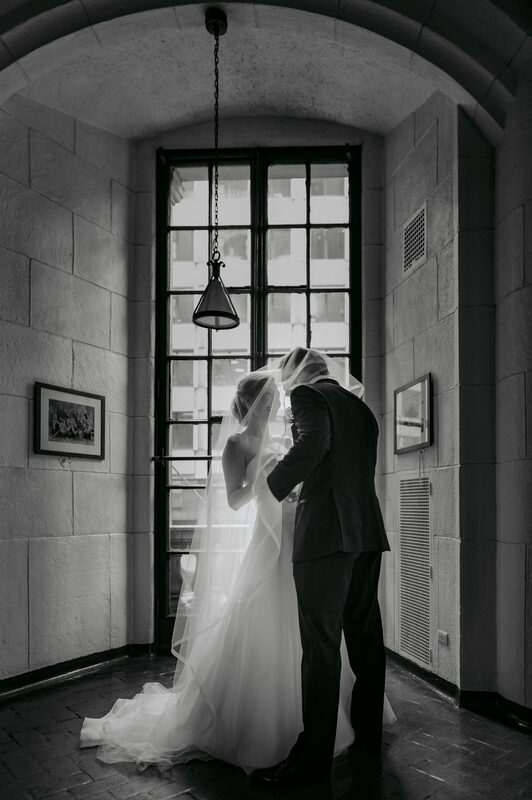 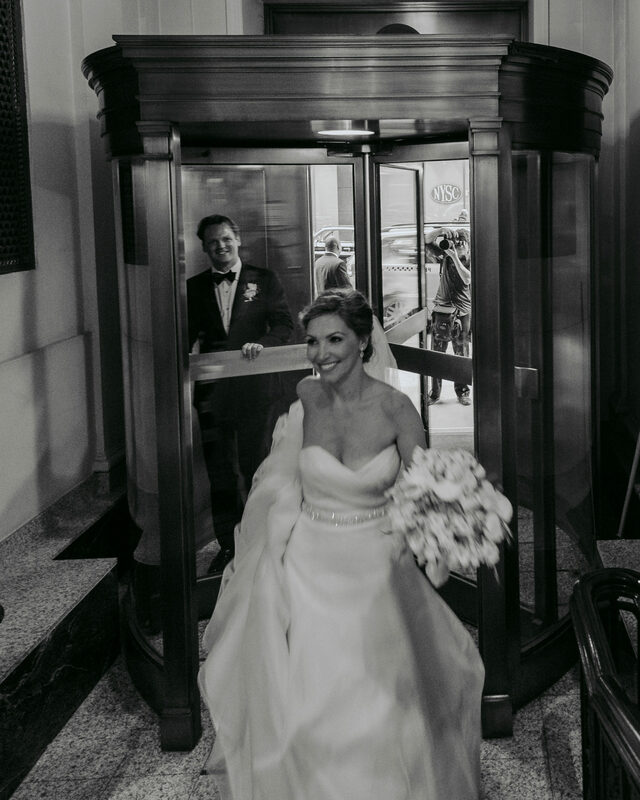 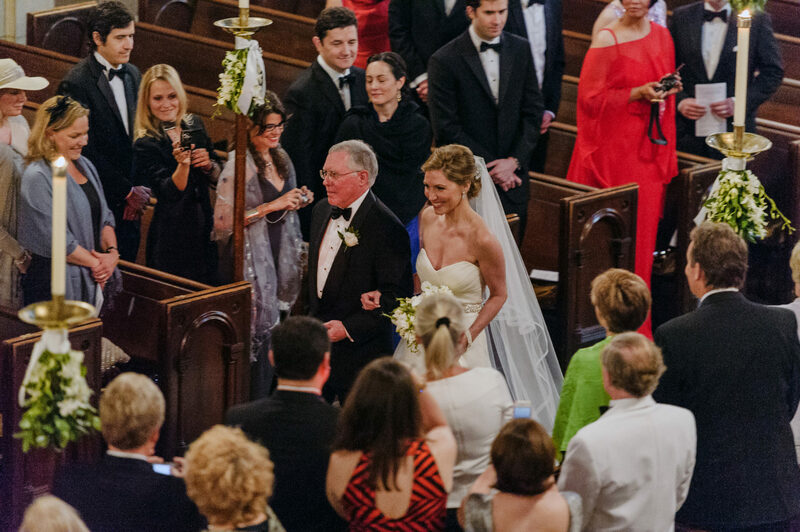 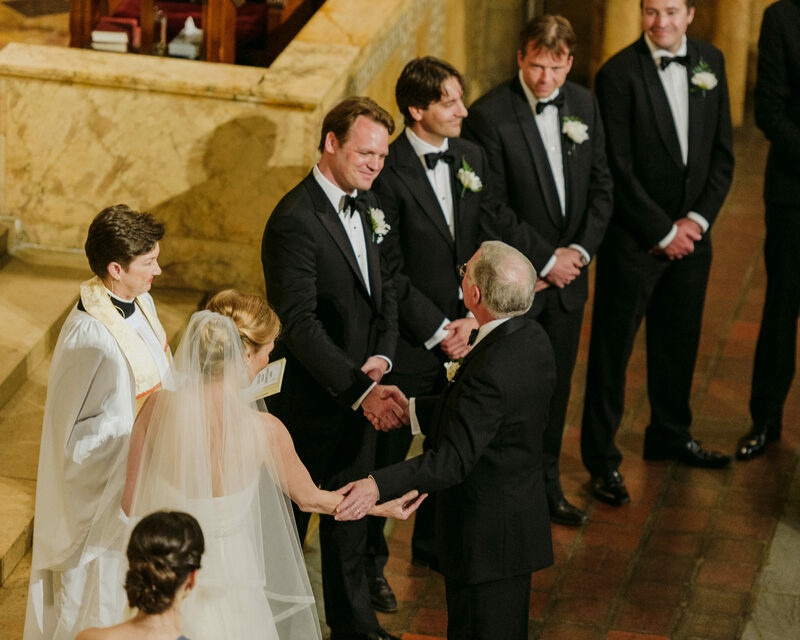 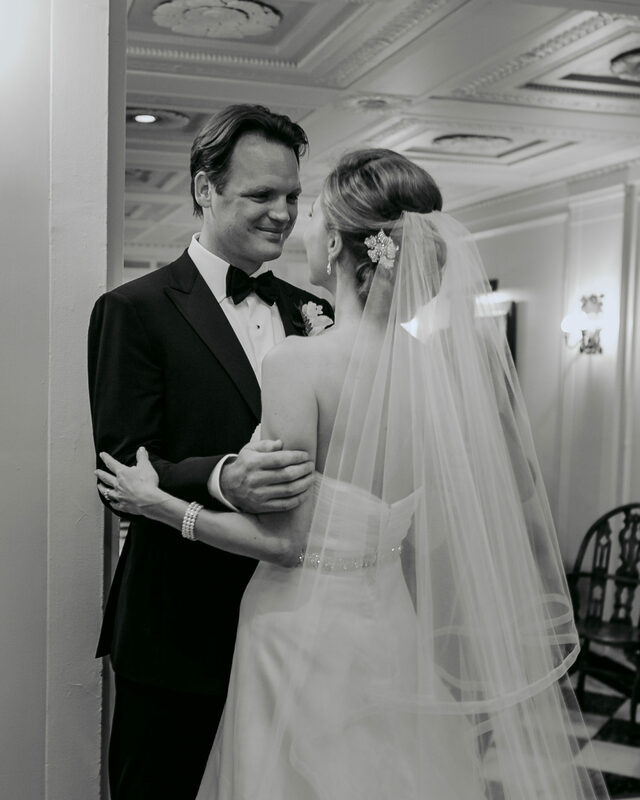 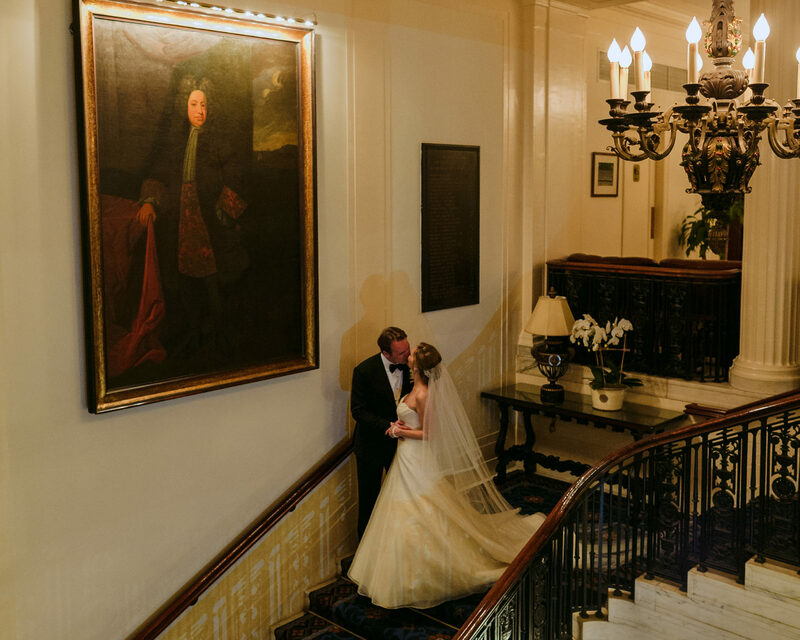 Merideth’s father walked her down the stairs to Remko where the couple spent a few moments before heading off to Saint Bartholomew’s (St. Barts) Episcopal Church where the ceremony took place. 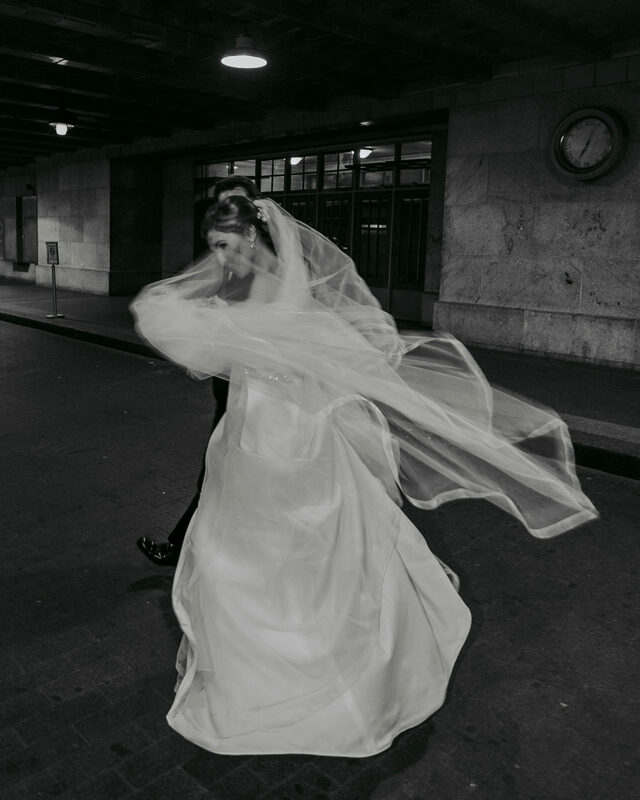 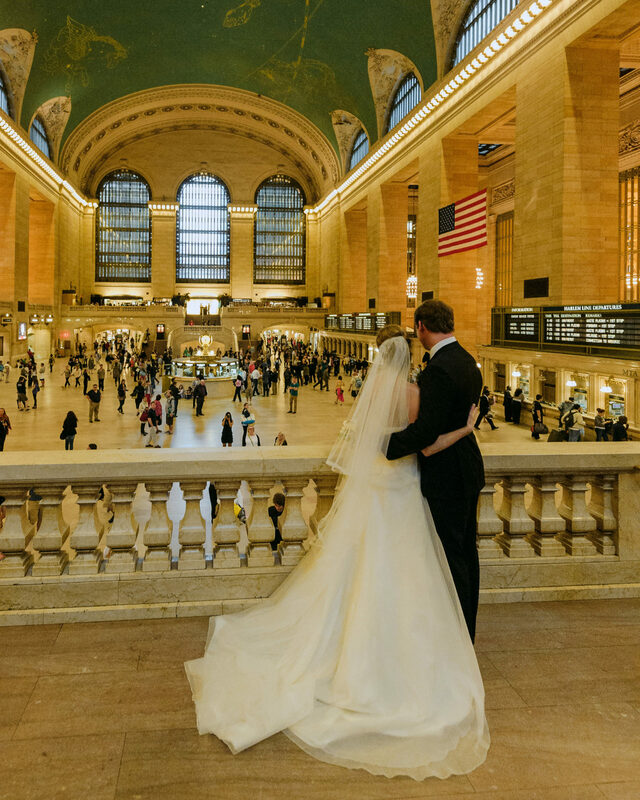 After the ceremony, we headed to Grand Central Station for a few images then walked to the Yale Club for their reception. 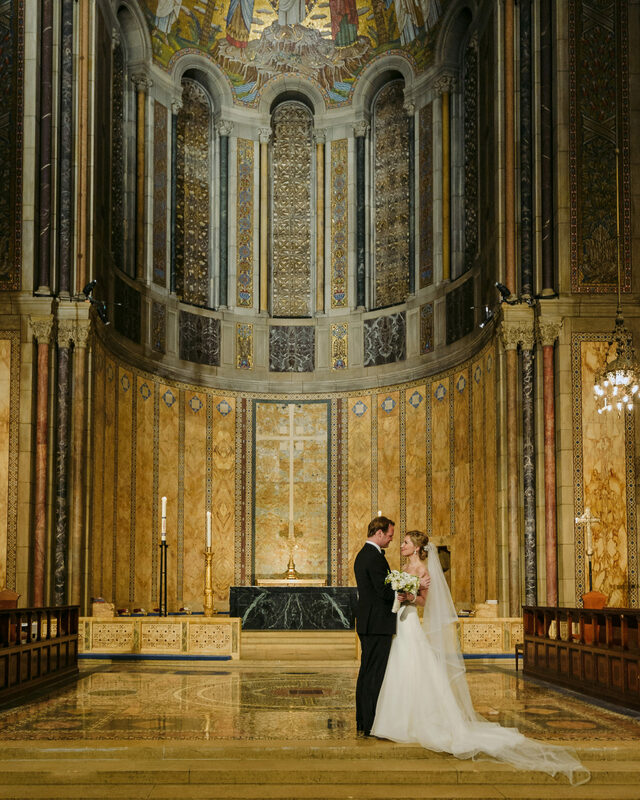 I had a wonderful time with everyone and wish continued love for Merideth and Remko.